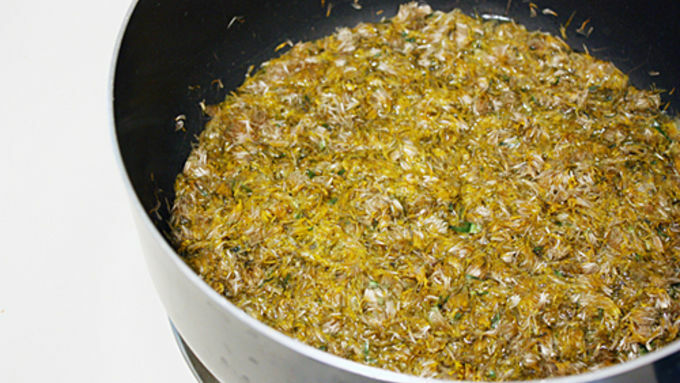 In a medium saucepan, simmer blossoms over medium-high heat for about 10 minutes. 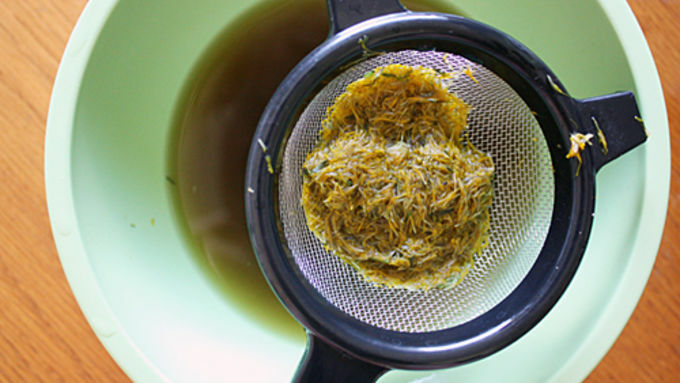 Strain blossoms from liquid and return liquid to saucepan. Discard blossoms. Return liquid to boil -- add sugar, lemon juice and pectin. Boil and stir constantly with a wooden spoon, skimming off the foam, until mixture becomes glasslike and just starts to thicken and solidify. Remove from heat and pour into desired containers. Cover and refrigerate until mixture hardens into a jelly-like substance. Ever wonder what to do with those irritating yellow dandelion colonies in your lawn every spring? Did you know you can make a jelly out of them? 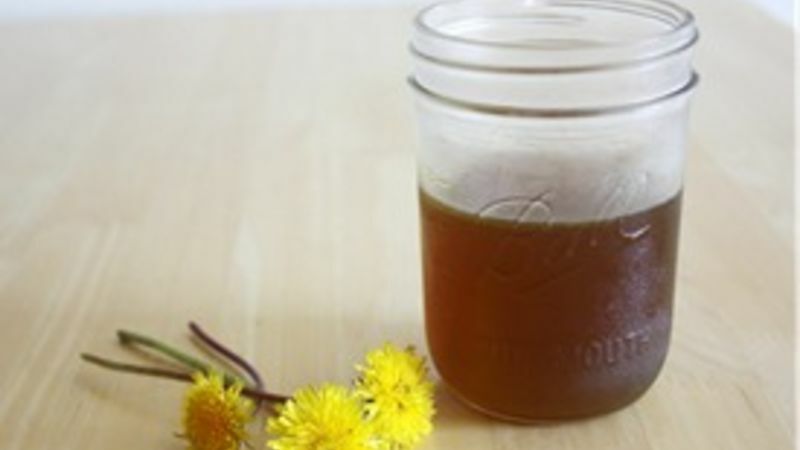 Instead of plucking all those pesky weeds and dumping them in the trash, take the flaxy flowers and make Dandelion Jelly. 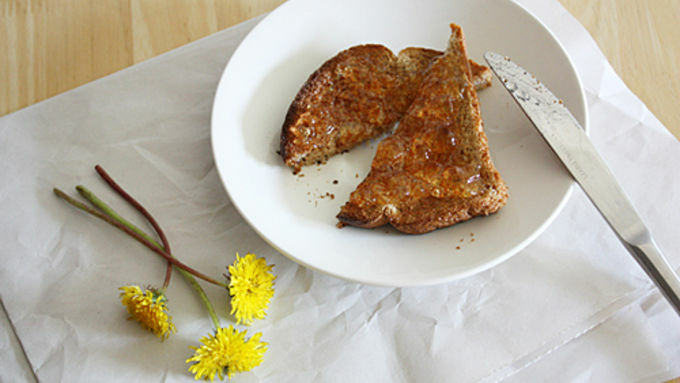 I know it sounds crazy, but using the yellow tops of dandelions actually makes a delicious food to spread on your morning toast! Now before you go thinking you’re not ready for this jelly, let me tell you a story: When I first heard of dandelion jelly, I winced in disgust. But I took the plunge and tried it out, and I’m very glad I did. Not only is it very simple to make, but the taste is not at all what you’d expect – it’s like honey with a spring in its step. It’s smooth, sweet and tastes a little bit like a freshly cut lawn, but not in a bad way. It’s like the embodiment of springtime in an edible spread. When you go out dandelion hunting, be sure to grab them from areas you know aren’t contaminated with pesticides, fertilizers, etc. You don’t want that stuff going down your gullet. Also, be sure to get as much of the green parts of the dandelions off the petals, but it’s OK if a few leaves fall into the mix – you strain them out later. And finally, if you want to make this recipe and save it for longer than a week, I’d suggest going the canning route. I’m not well-versed in canning, however, so I’ll leave you to do the research. When life gives you dandelions, make dandelion jelly! It’s a great way to celebrate spring and summertime.